Choline should be one of your first considerations for cognition and brain health. Which form of choline is the best? It’s such a simple question, but one that divides many nootropic fans (what do you mean “petty”??). Here I’ll discuss why choline is so important, examine natural and supplementary sources, and make a judgement call on which one I THINK is the best. Because as everyone knows: The Nootropic Geek knows best. In short, we will pit Choline Bitartrate against Alpha GPC and CDP Choline (Citicoline) — i.e. the most common choline donors available. Why Do You Need Choline? The Judgement: Best Nootropic Choline Source? It’s hard to remember the importance of choline when you don’t have any. Choline is a popular ingredient in many nootropic stacks and for good reason. This essential nutrient helps the brain make the neurotransmitter acetylcholine, which is essential for mental function and healthy neurons. Acetylcholine helps communication between neurons and additional choline can optimise the brain, aiding memory, boosting processing, speeding up thinking and improving attention span. It’s not exaggerating too much to say that without acetylcholine we couldn’t think, sleep, remember or even move. In addition, choline is also used to synthesize phosphatidylcholine (PC), a key component of the membrane of every single cell in the body. So yes, it’s pretty important. PC can also act as an additional choline reservoir to create more acetylcholine if needed. A study of healthy women aged 40 to 60 at the Brain Institute, University of Utah, demonstrated a significant improvement in cognition (answering test questions) when they were given choline. Choline has also been used to treat age-related cognitive decline, cerebral vascular dysfunction, and head trauma. Much of choline’s research seems to explore its uses in therapy more so than in recreational cognitive boosts. A staggering 90% of the population is estimated to be deficient in choline (U.S. statistics, but I can’t imagine too much of a difference between, say, the UK, Canada, Australia…). Choline deficiency can potentially lead to fatigue, memory loss, headaches and impaired cognitive ability. Choline supplement, in effect, may reverse such side effects. One of the reasons that so many of us are deficient in choline is the difficulty in gaining enough from natural sources in our diet. While meat, dairy and eggs are good sources of Phosphatidylcholine, a lipid which includes choline, this is actually one of the least efficient sources of choline around with only 13% choline by weight (meaning only 13% of it becomes choline in the body). 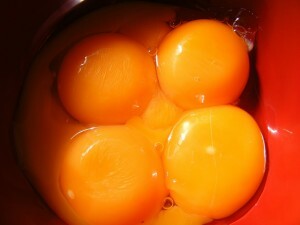 The same is true of Lecithin, often hailed as another source of choline, which only has a 6-10% weight of pure choline. As an example, you would have to eat EIGHT egg yolks PER DAY to reach the daily recommended level of choline… which, to be honest, I’m not too far off. This is why most people in the know prefer to go for choline-related supplements. Choline bitartrate is the most basic, economical and inexpensive form of choline that you can buy, and contains 41% of choline by weight. So 2,000 mg of choline bitartrate, for instance, would equal 800 mg of choline. That’s the good news. 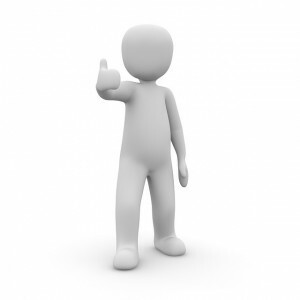 The bad news is that choline bitartrate isn’t really the form you want for cognitive action. It brings benefits to the body as it increases levels of systemic choline, but does little for the brain (it fails to reliably raise levels of neural choline and struggles to cross the blood-brain barrier). It’s probably as effective as choline-rich foods for the brain. The same is true of another basic form of choline known as choline citrate. In a pinch, you could add Choline bitartrate to a racetam stack, but there are much stronger options available. Two popular (superior) options are Alpha GPC and CDP Choline (Citicoline); both can be stacked with racetams but can also be used on their own, hence their popularity. Alpha GPC is an acetylcholine precursor, which is a fancy way of saying that when Alpha GPC is metabolized by the body, it creates more of the neurotransmitter acetylcholine as a by-product. It is 40% choline by weight, meaning that 1,000 mg of Alpha GPC gives 400 mg of choline. It may be more expensive than other comparative supplements but it is more concentrated so you don’t need as much. Research also shows that Alpha GPC is most readily absorbed by the brain of all choline supplements. It also has a very low toxicity and is considered safe. On paper, CDP Choline (Citicoline) doesn’t look as strong as Alpha GPC as it is only 18% of choline by weight, compared to Alpha GPC’s 40%. It punches above its weight, however (see what I did there? ), as it is also a uridine supplement. Let me explain. When CDP Choline is broken down, it creates free choline and cytidine. The latter is quickly converted to uridine in humans, which is a nootropic in its own right. 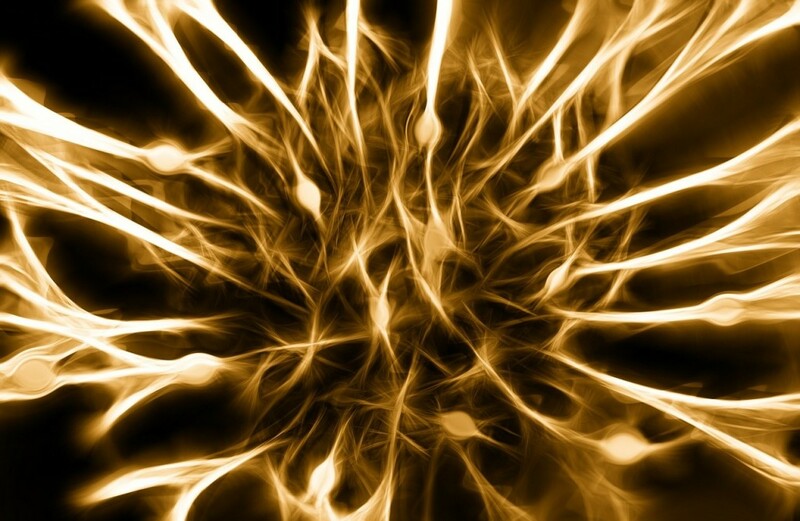 We already know how important choline is to the brain, but uridine is also one of the best nootropics for synaptic plasticity, allowing neurons to form new connections. It is heavily involved in memory creation, storage and recall, and low levels can impair memory function. Uridine also aids in PC creation. Combine that with the fact that CDP Choline can increase neural concentrations of choline better than straight choline itself, and you have a powerful two-in-one nootropic. Now we come to the killer question: Which of the above sources of choline is best? If money is a significant concern, Choline Bitartrate is the cheapest answer BUT it has little use as a nootropic, so let’s exclude it for our purposes. While both sources of choline occur naturally as part of the body’s processes, they work in slightly different ways. Alpha GPC is created as a by-product of PC breakdown, whereas CDP Choline or Citicoline is created during PC synthesis. With all of the above similarities and differences in mind, which version would I personally choose? It’s a tough one, as both Alpha GPC and CDP Choline are excellent supplements. Both raise neural levels of choline, helping to optimize the brain, improve cell membranes and enhance neurotransmitter synthesis. To be frank, you can’t really go wrong with either of these supplements and in many ways it’s a tie between them. You may want to experiment to find the one that you prefer as it often comes down to personal preference. Lots of people do have their favourite, however, and if we go by popularity, I’d say that CDP Choline (Citicoline) just pips the post. This is also my personal choice, as you get two top notch nootropics in one. As long as you take the right dose to ensure you get all the choline you need, Citicoline offers tremendous benefits. It’s also a great choice if you are taking an acetylcholine receptor stimulant such as Noopept or Piracetam. The CDP Choline (Citicoline) will ensure your body has enough choline to supply the racetam and ensure you don’t suffer from brain burnout. Winner: Personal preference, CDP Choline (Citicoline). More on Citicoline. 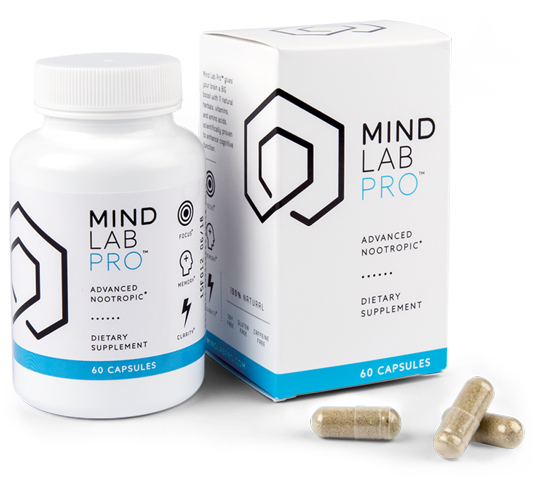 Featuring a solid 250 mg dosage of citicoline (as the well-researched Cognizin®), Mind Lab Pro is one of the best nootropic supplement options for choline. 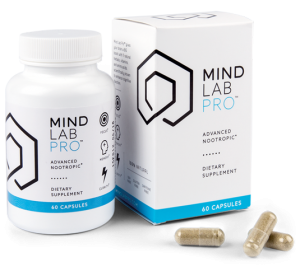 Paired with Mind Lab Pro’s citicoline is a powerful standardized extract of Bacopa monnieri, which improves the brain’s acetylcholine status by inhibiting acetylcholinesterase, the enzyme responsible for acetylcholine breakdown. Boosts acetylcholine levels with Citicoline. Increases acetylcholine activity with Bacopa Monnieri. More acetylcholine as well as more active acetylcholine. And that encompasses the bio-benefits of only two of Mind Lab Pro’s 11 ingredients. Altogether, this stack jacks up brainpower from all angles — cholinergic and otherwise. 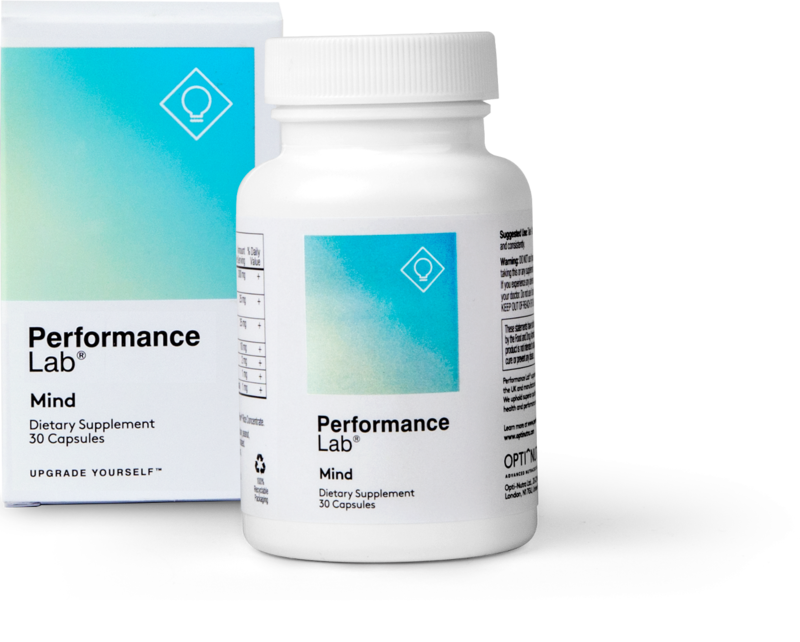 Operating as a simplified version of Mind Lab Pro, Performance Lab Mind supplies four of the same ingredients found in MLP, including: Citicoline (as Cognizin®), Phosphatidylserine (as Sharp-PS®), N-Acetyl L-Tyrosine, and Maritime Pine Bark Extract (standardized to 95% proanthocyanidins). On the choline end, Performance Lab Mind hedges all of its bets on citicoline. 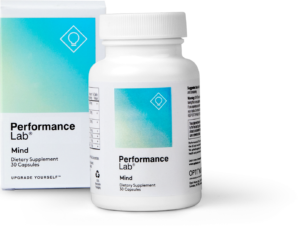 Which means that Performance Lab Mind lacks the cholinergic diversity of Mind Lab Pro — however, by taking a more straightforward approach to choline delivery, Performance Lab Mind essentially works as an enhanced premium form of citicoline. One that you may easily stack with other cholinergic options, particularly if you’ve built up a complex multi-supplement nootropic stack. Even so, aside from citicoline, you’re still getting phosphatidylserine’s mental performance boosts, NALT’s dopaminergic mood and motivation enhancement, and Maritime Pine Bark Extract’s brain boosting, attention sharpening benefits. P-Lab Mind packs a pretty hefty punch for such a small package. 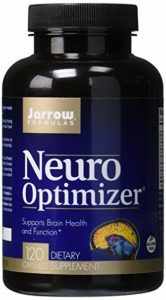 Neuro Optimizer is somewhat of an underappreciated nootropic stack. It’s not proprietary, it’s reasonably priced… it’s nootropics work. Particularly it’s cholinergic nootropics, which include: Citicoline (again, as Cognizin®) and Phosphatidylcholine. It’s an interesting mix, namely for Neuro Optimizer’s use of phosphatidylcholine (PC) — a key phospholipid in brain cell membranes. Accompanying PC is a quality sample of PS (as Sharp-PS®), another key phospholipid in cellular membranes, making Neuro Optimizer a truly neuro-optimizing supplement. Granted, not everything in this formula is all that necessary for cognitive enhancement — e.g., L-glutamine and taurine could perhaps be swapped out with better brain boosters. But if reasonably priced citicoline (+ a few other quality nootropics) is what you’re after, then Neuro Optimizer’s got it. Alpha-GPC – raw choline donation for acetylcholine synthesis. Bacopa – Ayurvedic adaptogen for acetylcholine activity. Huperzine-A – semi-synthetic acetylcholinesterase inhibitor. — in addition to several other impressive brain boosting ingredients, such as L-theanine, oat straw extract, and Onnit’s own ac-11® cat’s claw herbal extract. 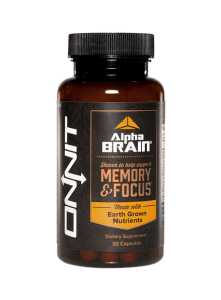 One major hang-up with this super popular brain health stack is Alpha BRAIN’s use of proprietary blends. 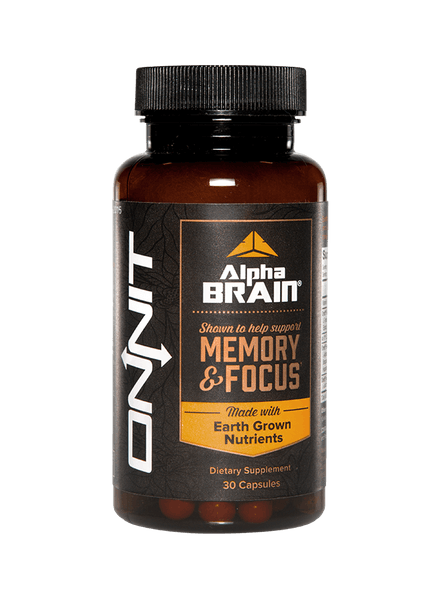 By hiding the individual ingredient dosages beneath three proprietary blends, I’m unsure whether or not Alpha BRAIN actually adequately delivers on the cholinergics listed above. Even so, the ingredient selections are on-point for better brain performance and choline status. I for some time have been looking for a way to negate effects of all the memory damage done when smoking … that wonderful herb to which supposedly we are not addicted. even though ten plus years have passed, no matter how much I train my memory, to learn something takes me a dozen repetitions throughout a long time, stuff I have learned just a few months ago would need a complete overhaul – as if details completely escape me. In other words, I am barely functional where learning is concerned. I’ve tried a several things – Bacopa, Ashwaganda, Gotu Kola, etc. Lately I am using Lion’s mane with Acetyl L Carnitine – on one of the forums about the substance there was a single post that Acetyl L Carnitine taken together with Lion’s Mane amplifies NGF (nerve growth ) effect by 100. What do you know about it? Is this a true statement? And more, is regrowing nerves what restores memory or I should concern myself with a different part of a brain machinery? I would really appreciate an answer to these and others questions. looking through the forums takes an enormous amount of time, and I don’t have it – I am desperately trying not to fail in school, live in a new country, learn (if you can call it that) a new language and feeling anxious and pretty desperate (say depressed) about a future. A new batch of things I am on seem to drain my kidneys or some other endocrinology, however i feel a bit more able to get up and do what needs to be done, but it is barely at the survival level and takes a war like effort. Do you think you might have an answer to my situation?